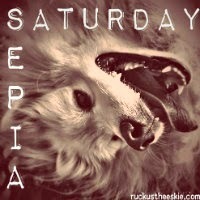 Ruckus the Eskie: Sepia Saturday #113: Any Big Fights Upcoming? Ruckus gonna knock you out! Now Ruckus, you sure don't look like a tough guy...can't believe you'd knock anyone out! Maybe lick 'em to death if their human! We totally know you are going to win your fight! I have joined youhr feed and look forward to sseking more of your excellent post. information. The article hhas truly peaked my interest. per week. I subscribed to your RSSfeed too. Hello my friend! I want to say that this post iss amazing, nice written and come with almost all vital infos. I would like tto look more posts like thiss . pointss using this web site, since I experienced to reload the webb site many times previous to I could get it to load properly. a lot more of your respective fascinwting content.